Meghan McArdle is a sixteen year old from Drumargh Park and a student from St Catherine's College Armagh. 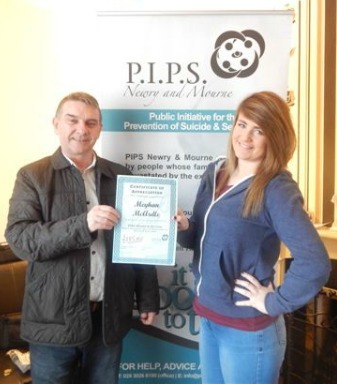 Meghan organised numerous events in aid of PIPS Newry. A talent show, leg waxing and head shaving. The Joint winners of the talent competition were Oonagh McBride and Leah Traynor. Meghan would like to thank comperes Eoin Duffy, Lisa McArdle for shaving hair and Caroline Kelly for doing the waxing. She would also like to thank everyone who attended, donated and supported this cause.